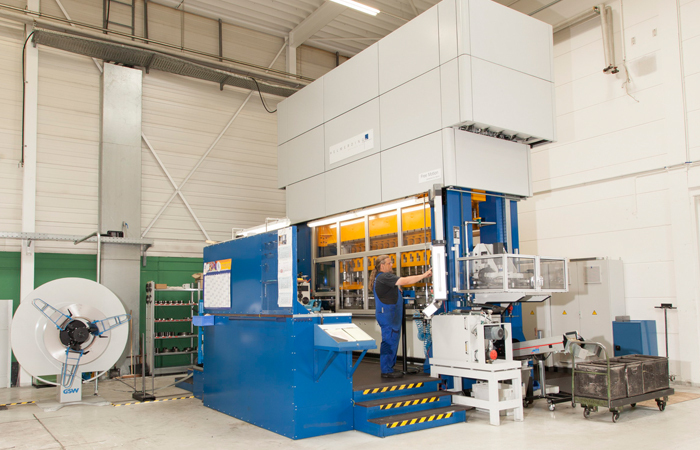 For the series production of our sleeves, we use state of the art transfer presses – both with conventional and servodrives. This advanced technology has enabled us to specialise in the production of large series. 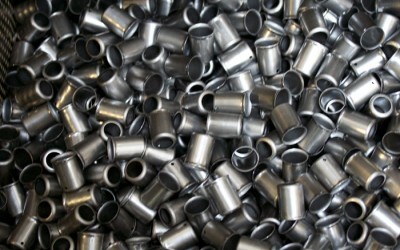 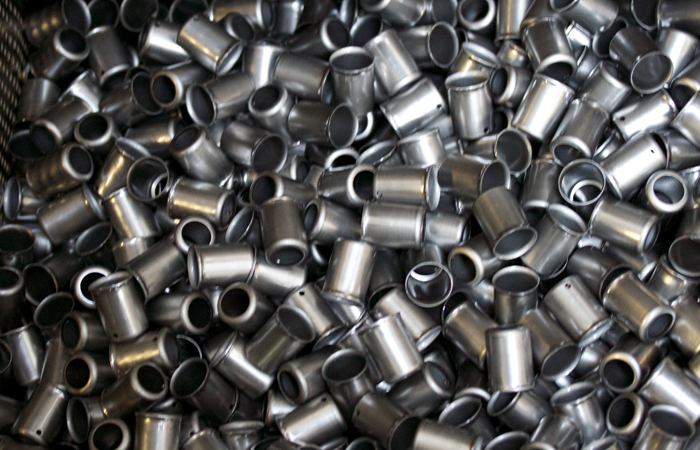 Our series production is subject to continuous quality control in accordance with ISO TS 16949, DIN EN ISO 9001.2008. Transfer presses with press forces up to 200 tons are used for deep-drawing sleeves of stainless steel, steel, Inconel, aluminium, copper and brass. 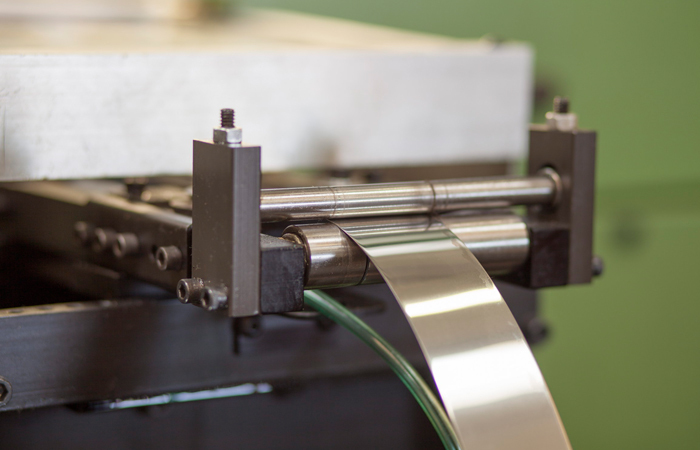 The lowest and highest technical values for the deep-drawing process are: sleeve lengths from 15 to 150 mm, internal diameters from 2.8 to 110 mm and material thicknesses from 0.2 to 3 mm. 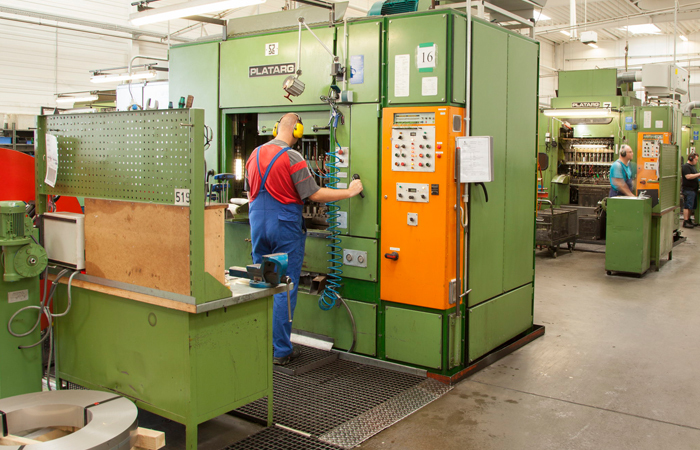 Each individual product has an inspection plan to ensure that our high quality requirements are maintained. Reliable maintenance and servicing of machines and tools is carried out by our own specialised teams.